In 2020, Purim begins at sunset on Monday, March 9. In 2020, Purim begins at sunset on Monday, March 9 and ends at sunset on Tuesday, March 10. The story of the joyous holiday of Purim might appear somber at first glance: It tells of the near-destruction of the Jewish people as decreed by Haman, an adviser to the Persian King Ahasuerus. However, Ahasuerus’ newly crowned queen, Esther — who replaced Vashti when she was thrown out of the kingdom — is secretly a Jew. Due to her courage and her eventual role in saving the Jews, the story of Purim is known as “Megillat Esther,” or the Scroll of Esther. * We give gifts to poor people. * We read the megillah, the Purim story. * We eat a festive meal, or seudah. * We give food gifts, called mishloah manot, to our friends. *We eat hamantaschen, triangle-shaped cookies named for the villainous Haman. 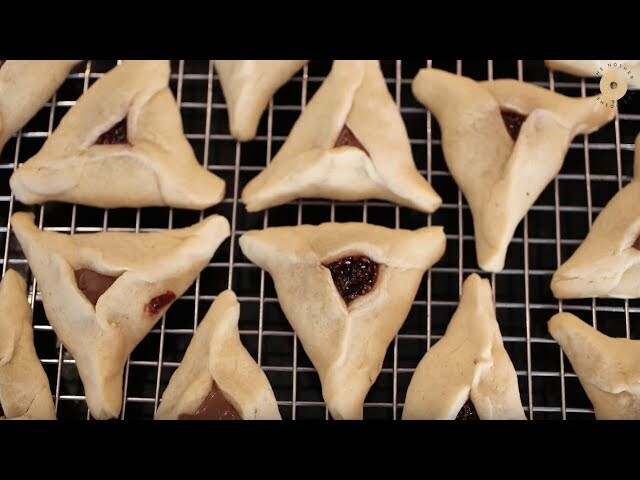 Learn how to make them in this video or find more than 20 hamantaschen recipes on our food blog, The Nosher. Many people dress up in costume, following the theme of Purim as a holiday of disguise where nothing is quite as it seems. Synagogues and communities hold plays and festivals specifically for the day. Traditionally, a noisemaker or gragger is sounded when Haman’s name is said aloud during the megillah reading; today some people have instituted a new practice of waving a celebratory flag when Esther’s name is recited. Think you know everything about Purim? Check out these 9 Things You Didn’t Know About Purim. 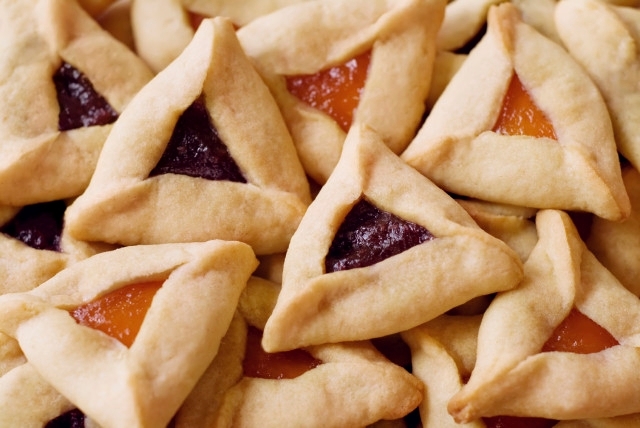 Take a Purim quiz, or take this quiz to find out which kind hamantaschen you are! Hamantaschen aren't the only foods associated with this festive holiday.